A U.S. judge abruptly postponed the sentencing of President Donald Trump's first national security adviser, Michael Flynn, on Tuesday, saying he could not hide his disgust for Flynn's crime of lying to the FBI and warning that he could send the retired army lieutenant-general to prison. Sullivan's harsh words raised the prospect that he could send Flynn to prison — an unexpected development since prosecutors have recommended against prison time, citing his co-operation in special counsel Robert Mueller's Russia probe. The hearing came amid escalating legal peril for Trump, who was implicated by federal prosecutors in New York this month in hush-money payments to cover up extramarital affairs. Nearly a half-dozen former aides and advisers — including Flynn — have pleaded guilty or agreed to co-operate with prosecutors. Trump signalled his continued close interest in the case by tweeting "good luck" to Flynn hours before the sentencing hearing. He added: "Will be interesting to see what he has to say, despite tremendous pressure being put on him, about Russian Collusion in our great and, obviously, highly successful political campaign. There was no Collusion!" The new delay in sentencing will allow Flynn to continue co-operating with the Russia investigation and get credit for it in his punishment. The change upset what had been a carefully crafted agreement, with Mueller's office saying Flynn had already provided "the vast majority" of information he could. Flynn, who served as national security adviser for only a few weeks, was to be the first White House official sentenced in Mueller's investigation. Prosecutors had praised his co-operation and recommended against prison, and Tuesday's sentencing was expected to be relatively straightforward. Flynn had expected to walk out of the courthouse a free man. 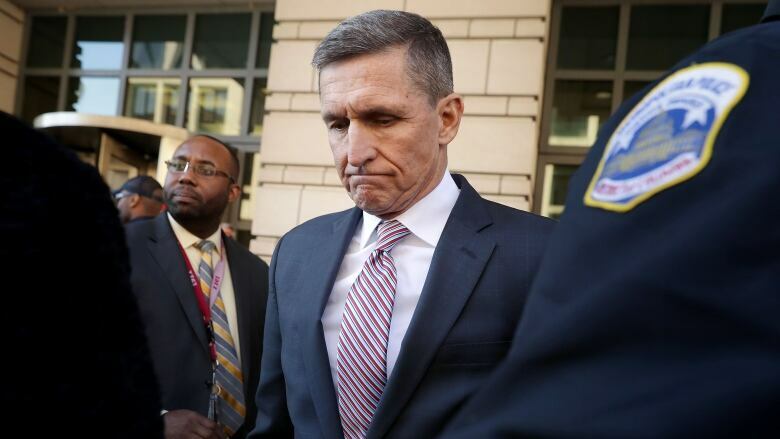 After a prosecutor raised the prospect of Flynn's continued co-operation with other investigations in the future, Sullivan warned Flynn that he might not get the full credit for his assistance to the government if he were sentenced as scheduled. The judge gave a visibly shaken Flynn a chance to discuss a delay of the hearing with his lawyers, and the court went into a brief recess. When they returned, Flynn lawyer Robert Kelner defended Flynn's co-operation but requested a postponement to allow for him to keep co-operating. Kelner said he expected Flynn would have to testify in a related trial in Virginia involving Flynn's former business associates, and the defence wanted to "eke out the last modicum of co-operation" so he could get credit in any sentence. 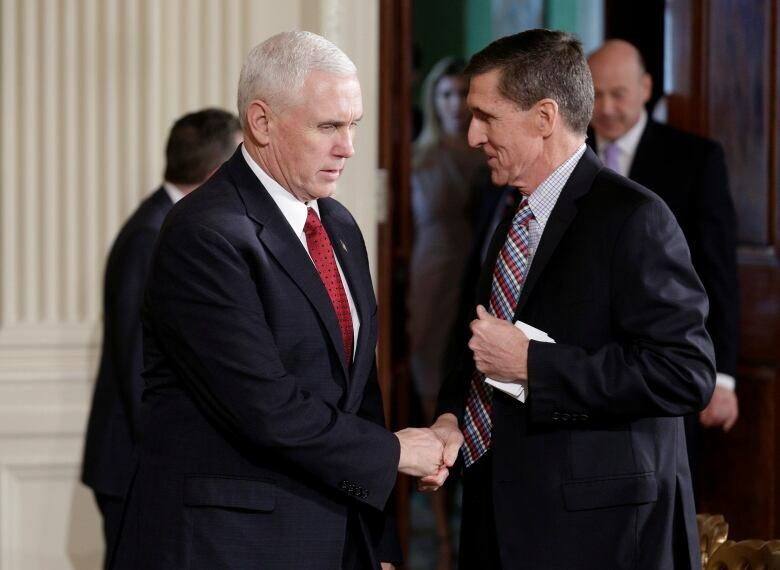 At the hearing, Sullivan told Flynn that he would take into account his extensive co-operation with the government, which includes 19 meetings with investigators as well as his 33-year military career that included service in Iraq and Afghanistan. But he also said he was forced to weigh other factors, including Flynn's decision as national security adviser to lie to the FBI about contacts he had with the Russian ambassador to the United States. The judge set a new hearing date for March. 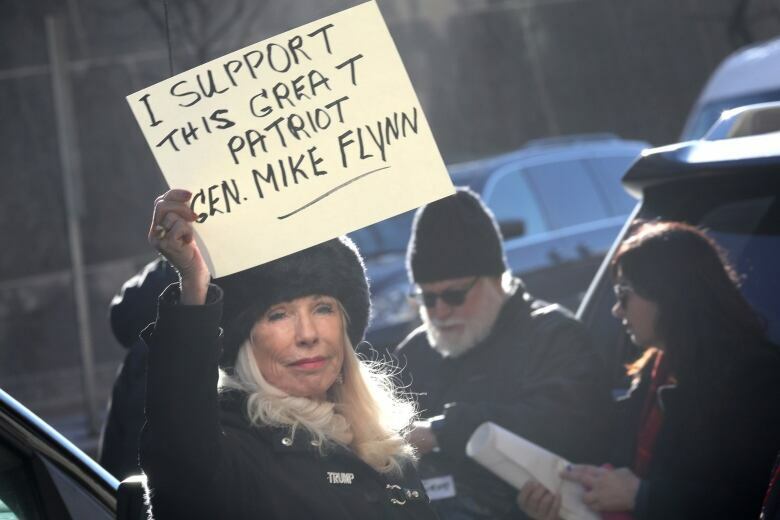 Flynn left the courthouse hand in hand with his wife, climbing into a large, black SUV as protesters heckled and supporters chanted "USA!"